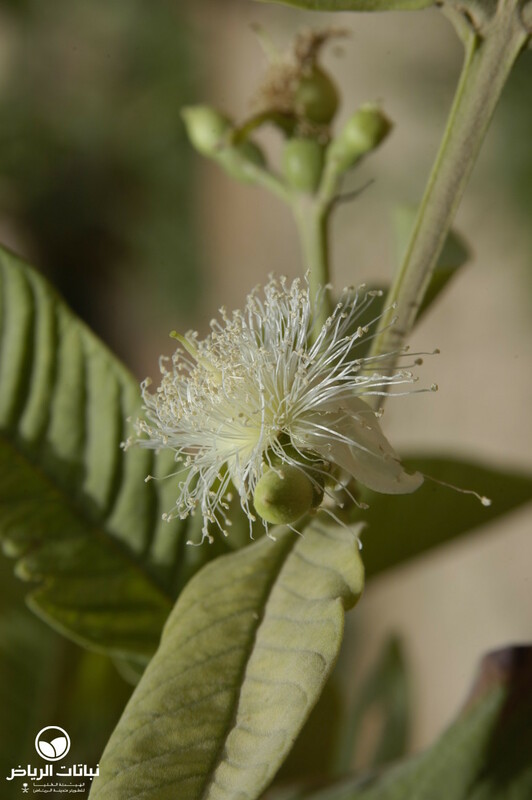 From tropical America, this tender shrub has spread to all warm climates in the world. In favourable conditions, it may grow to a specimen tree of 7 metres in height. 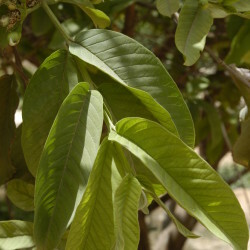 Veined, evergreen leaves are arranged oppositely on four-angled twigs. 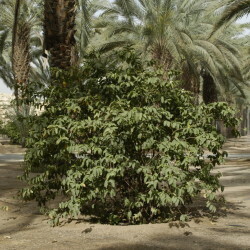 The emerging foliage is reddish to protect it from intense sun. When the reddish elderly bark peels off, it exposes light-grey bark beneath. 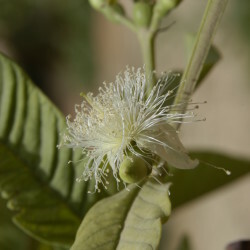 A common tropical feature is flowers and fruit found on the tree at the same time. 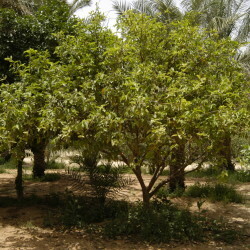 In Arriyadh, where the tree is often found in cultivation on farms, the white flowers appear mainly in spring, measuring about 2 to 3 cm across. 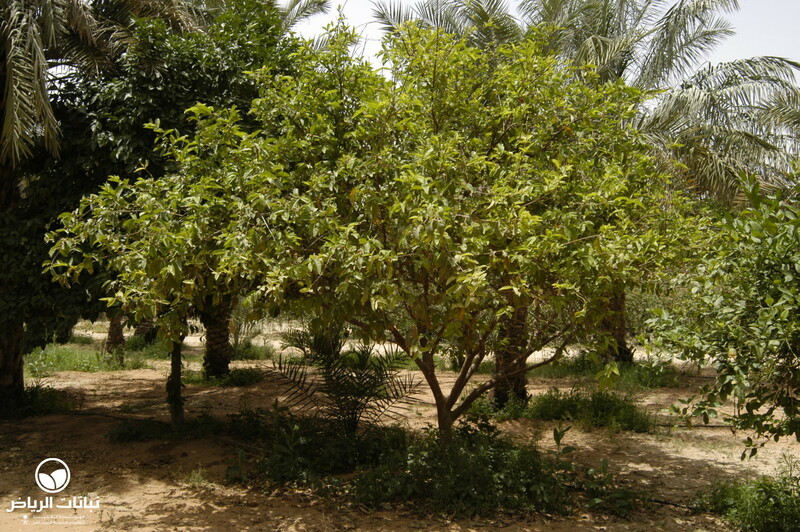 Guaves are self-fertile, so that one plant does not need a neighbour for fertilisation. 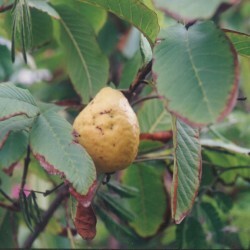 The fruits vary considerably in size, shape, colour and taste: they are between 5 and 10 cm in diameter, round or elongated, grey, white or pink, with more or less taste, either sweet or insipid. They turn ripe in autumn or early winter, emitting an intense pleasant scent. 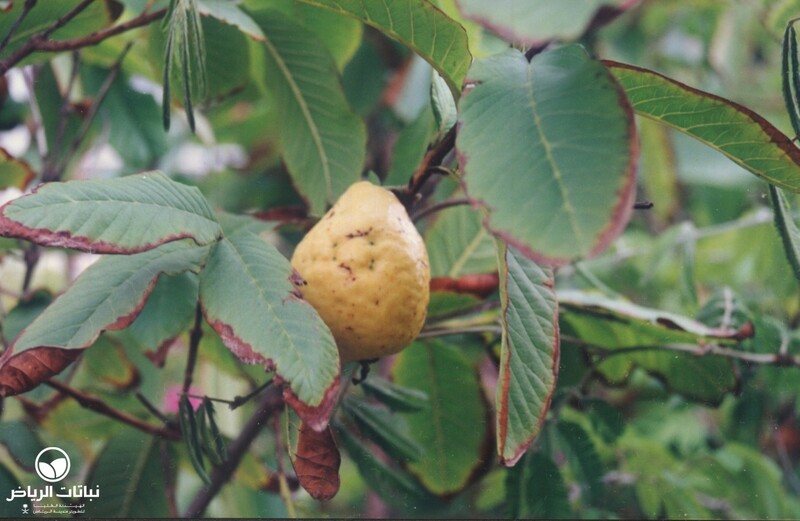 Guave fruits can be eaten fresh or processed to make juice and jam. Cultivars usually contain plenty of seeds within the pulp, but a few varieties are almost seedless. They germinate readily so that plants sometimes naturalise where conditions are met. 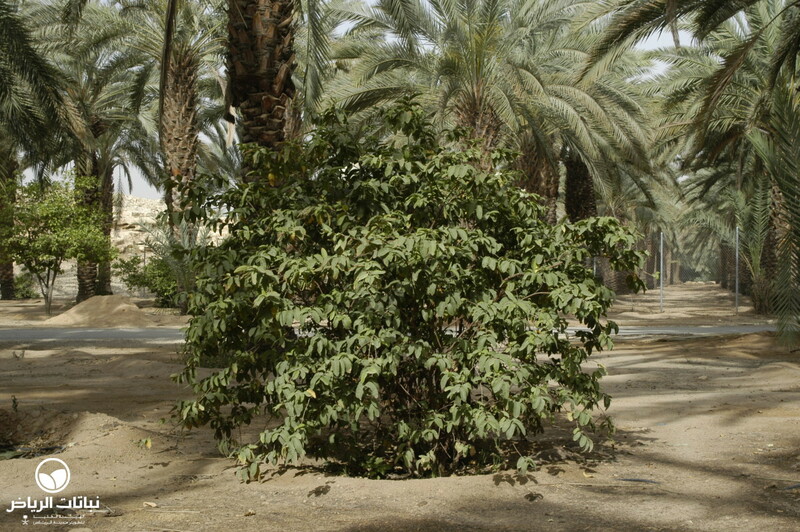 In humid, warm regions, they may become weedy. 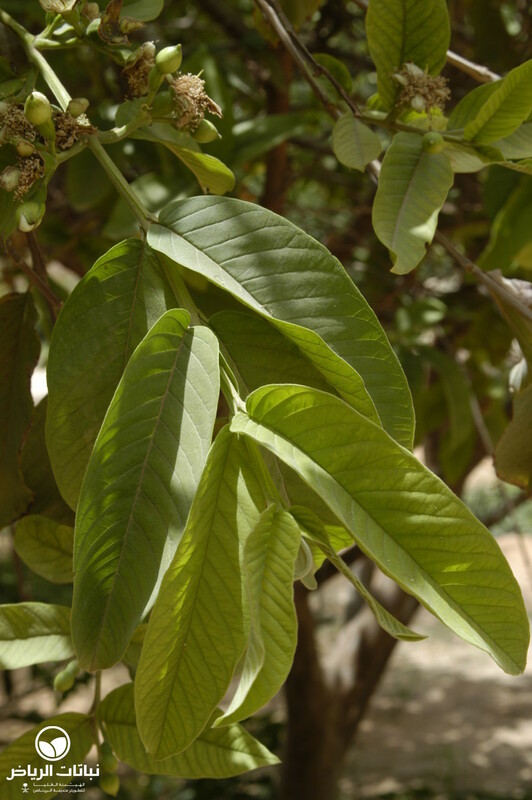 Guave trees do well in full sun, but resent strong winds and reflected heat. Young plants are tender to cold, but mature trees tolerate brief, light frosts. Any well-drained soil is welcomed, either acidic or alkaline, but a high level of humus is appreciated.